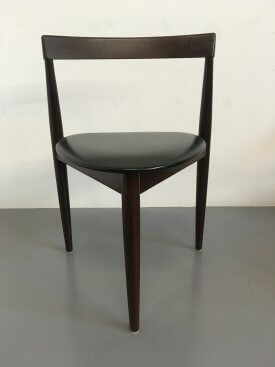 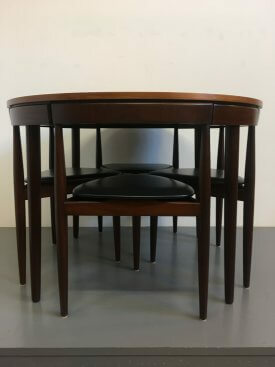 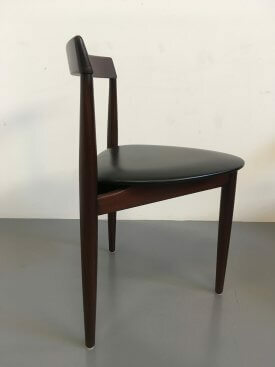 Dining set designed by Hans Olsen for Frem Rojle. 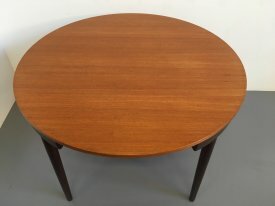 Denmark, 1953. 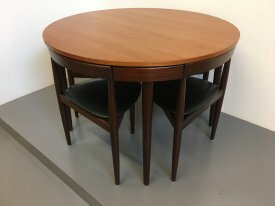 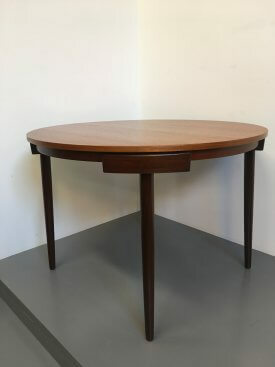 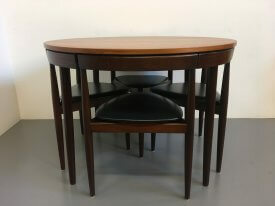 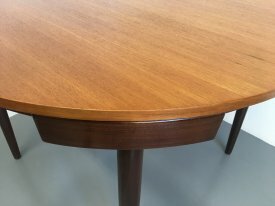 Circular teak table with solid tapered legs. 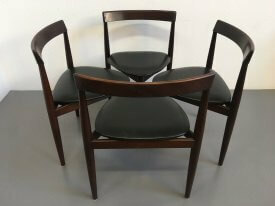 3 legged chairs, in afromosia & vinyl, sit flush to the edge of the table, giving a clean minimalist look when not in use. 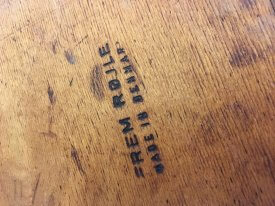 Branded manufacturers mark & Danish Furniture Control disc to underside.